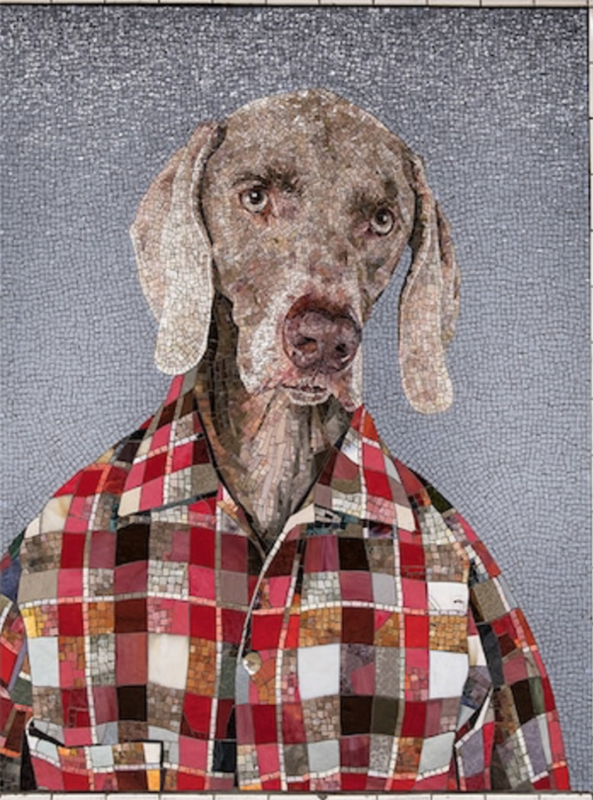 In the 1970s, artist William Wegman adopted his first Weimaraner. Fittingly named Man Ray, this dog played a pivotal role in the evolution of Wegman’s creative practice. 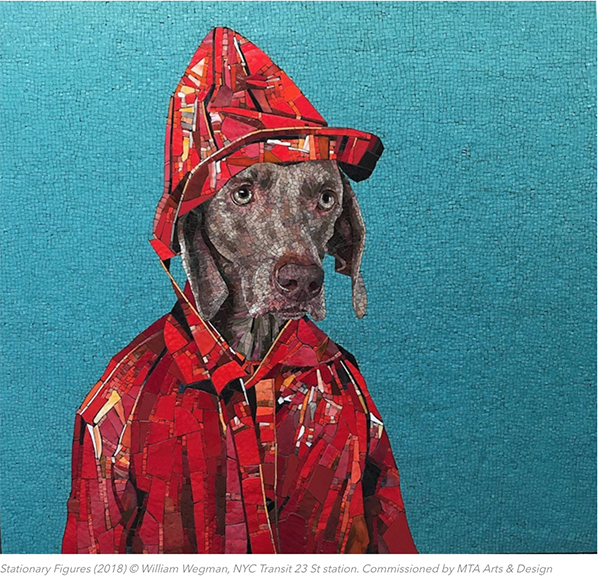 Not only did the pup prompt the artist to turn his attention from painting to photography, but he also inspired Wegman’s most well-known works: portraits of Weimaraners wearing clothing. 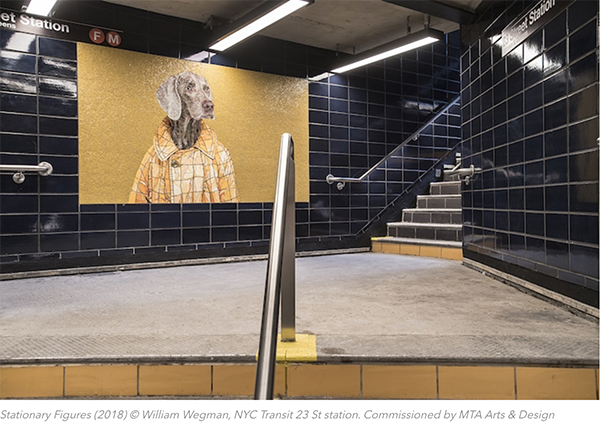 While most of these portraits have been rendered on film, a recent collaboration has reimagined these photographs as Stationary Figures, a series of subway mosaics. Stationary Figures was commissioned by the MTA Arts & Design, a program that brings public art to the New York City Subway. 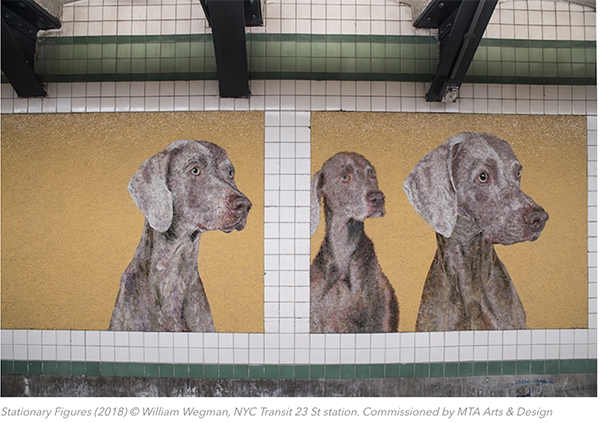 Designed to grace the walls of the recently re-opened 23rd Street station, the eye-catching installation comprises 11 panels starring Flo and Topper—two of Wegman’s Weimaraners—posing as humans. Specifically, Wegman dressed them as the very people who will see the art on a daily basis: commuters.